Killed for ‘honour’ and now denied justice. Southall Black Sisters are launching a major campaign on justice and state accountability next week regarding the ‘honour killing’ of Seeta Kaur. Southall Black Sisters (SBS) has been supporting the family of Seeta Kaur, a British-born national of Indian origin and the mother of four young children, since April 2015. Seeta was the victim of years of domestic violence from her husband Pawan, an Indian national resident in the UK. Throughout her marriage, Seeta was under considerable pressure to give up one of her two sons to her childless brother-in-law and sister-in-law in India who wanted a male heir. She consistently refused to be separated from any of her children, but her husband Pawan regarded his promise to her them as a matter of “honour” and was, it now seems, intent on fulfilling that promise at any cost. Seeta travelled to India in February 2015 with Pawan and their children for a family holiday. On 31 March 2015, Seeta’s family were informed by Pawan that Seeta – a healthy 33 year-old woman with no history of significant health concerns – had died of a heart attack. Seeta’s father and two of her siblings travelled to India to the home of Seeta’s in-laws. They saw her body wrapped in thick blankets in a coffin – and when they insisted on uncovering her, they saw considerable bruising around her neck and upper chest, fuelling their suspicion that she had been murdered. Seeta’s family made clear to her husband and in-laws that they intended to take her body back to the UK, but during the night Seeta’s husband and/or people acting on his behalf, secretly took her body out of the house and had her cremated. Seeta’s family were deeply shocked and distressed – and deprived of the opportunity to pay their respects or arrange a post-mortem to establish the cause of her death. Seeta’s family are convinced that Seeta was murdered in a so-called honour killing. The Indian police failed to investigate her death properly and instead tried to persuade Seeta’s grieving family to ‘reconcile’ with her husband and his family. When Seeta’s family understandably refused, the police closed the case. Sadly, despite several unsuccessful attempts to persuade the Foreign and Commonwealth Office (FCO) and the Metropolitan Police to investigate her death as a potential honour killing, the family are nowhere near securing an investigation into Seeta’s death or in obtaining justice. 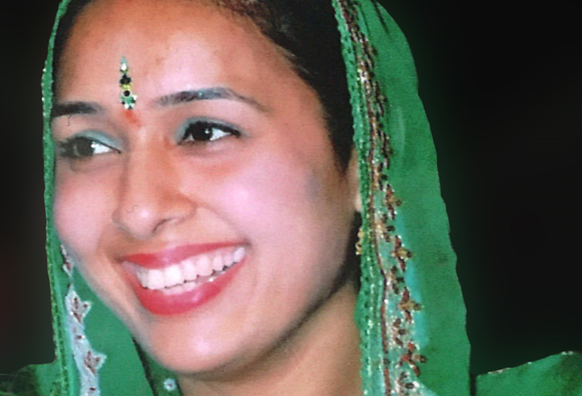 This case also has conspicuous parallels with previous honour killings of British national women abroad: that of Manjit Kaur, Surjit Atwal, and the more recent high-profile honour killing of Samia Shahid who was allegedly raped and brutally murdered by her first husband and relatives in Pakistan – people who are now awaiting trial for her murder. Southall Black Sisters strongly believe that the police’s failure to investigate Seeta’s death breaches the UK government’s commitment to tackling honour crimes as a ‘priority’ and its domestic and international human rights obligations. The government has signed – although not yet ratified – the Istanbul Convention, which requires the UK to protect from and prevent violence against women, and prosecute perpetrators who are nationals or resident in the UK – wherever they commit the act of violence. Despite this commitment, the state is hiding behind “lack of jurisdiction” as an excuse for not investigating Seeta’s death. This failure also amounts to discrimination given their approach to other international cases involving white British nationals. The campaign for Justice for Seeta will be launched on 7 December 2016 in the House of Commons. If you would like to attend, click here. To find out what you can do to help, click here.